I highly doubt it will ever see official release in the Philippines (I'd love to be proven wrong though -- at least in this case). But since I have a hunch that it will end being one of those 'landmark' gadgets, I'm featuring it on TP nonetheless. Verizon Wireless and Motorola Mobility, Inc. today unveiled an innovative new tablet simply called Motorola XOOM − the first device to run on Google's new Android 3.0 Honeycomb platform specifically designed from the ground up for tablets. The Honeycomb user experience offers an improvement on favorite Android features like widgets, multi-tasking, notifications, browsing, customization and likewise delivers the latest Google Mobile innovations. Boasting a dual core chip with individual cores running at 1 GHz and 10.1-inch widescreen HD display, Motorola XOOM gives a new type of mobile computing experience on a stylishly thin slate that's 4G LTE upgradeable. "Light, powerful and fundamentally different than anything else on the market, Motorola XOOM leverages the very best technology available today to redefine what a tablet experience can be," shares Bill Ogle, Chief Marketing Officer of Motorola Mobility. "The first device to feature software designed specifically for tablets, Motorola XOOM goes everywhere you do and delivers everything you need." Motorola XOOM redefines the tablet device category by providing more ways to enjoy multimedia content, connect with friends and stay productive even when on the go. It allows users to experience HD videos right on the device, supports 1080p HD video and HDMI output to display content on larger HD screens, and even plays video and other rich web content seamlessly with Adobe Flash Player. Motorola XOOM features a front-facing 2 MegaPixel camera for video chats over Wi-Fi or 3G/4G LTE, as well as a rear-facing 5-megapixel shooter that also captures video in 720p HD. For gaming, it delivers console-like performance on its 1280x800 display, and features a built-in gyroscope, e-compass, barometer, accelerometer and adaptive lighting for new types of applications. Thanks to its powerful processor, Motorola Xoom easily renders Google Maps 5.0, which features smooth 3D interaction, scene tilting, compass mode, 3D buildings and offline rerouting. Motorola XOOM slate will launch as a 3G/Wi-Fi-enabled device during the first quarter of 2011 with an upgrade to 4G LTE coming in Q2. 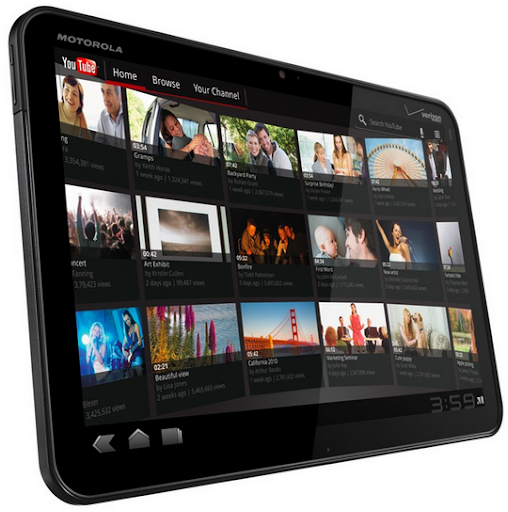 Starting Q2 2011, Motorola XOOM will be a 4G LTE/Wi-Fi- enabled device. We're still awaiting word on XOOM's pricing details. Saan po makabili nito dito sa manila?